The Twin City Stompers Art Deco Dixieland Jazz Band . Has been instrumental in keeping Dixieland Jazz alive in Hawkes Bay New Zealand for over 22 Years performing at corporate functions, weddings, birthdays, cruise ship departures, funerals and Art Deco Functions. 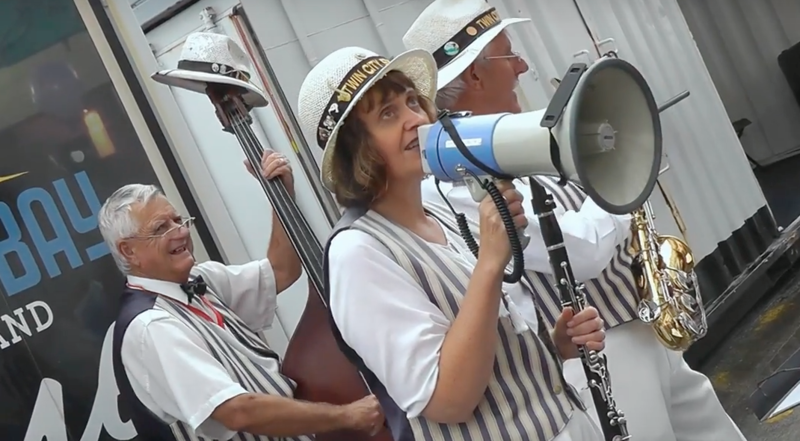 The Twin City Stompers take their name from the twin cities of Hawkes Bay, Napier and Hastings and use the style of music to compliment the local Art Deco Theme of the Bay that draws thousands of visitors annually. The Stompers have kept the Tradition and performed at the 50th,51st & 52nd Tauranga Jazz Festivals also many of the Manawatu Jazz Festivals. Kelvin Roy-Gapper Bass Trumpet And Vocals.